Can I get an amen, #TeamFabio?! This is too good guys, and I feel like I should be throwing a party. I always want to throw a party, though – a big disco ball is an absolute must. It’s a celebration of your beloved American foods. The foods you can’t live without or get at the drop of a hat, you know where they come from, how they taste, and how to make your version of it. The classics never die, right?! Since America doesn’t really have a staple cuisine like Italy or Spain, it’s taken something good and made it even better! All these “staple” American foods come from different corners of the world, landed here, and are now household names in the world of food. Pick a city, any city, and talk to the locals. They will usually steer you in the right direction. That is, of course, unless you smell really, really, bad. Then they might steer you to a shower. Stay clean, people! But really – it’s all about the locals and what they eat. 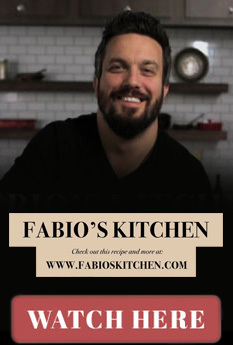 The common saying is “When in Rome, do as the Romans do.” Today, that is getting a makeover – “When with Fabio, do as Fabio does.” That has such a nice ring to it. I’ve been all over this country, eaten at countless restaurants and eateries, and it all comes back to the corner. That corner shop, hole in the wall, nobody knows about place that survives from local businesses and small families. Maybe a slightly off exterior, but the food is spot on! These are the places making your favorite foods. • Philly Cheesesteak – Philly does it best, people. They do! No questions needed. I keep it classic with Cheese Whiz, but some like to switch it up with Provolone. Can’t get to Philly? Cook thinly sliced ribeye with peppers and red onions for a quick fix and cheese of your liking. Drip that cheese until you can’t take it anymore, too! • Hamburgers – Beef is better. Sorry, but veggies lose this time. Find it anywhere in this great country, but New Haven, Connecticut, was where it originated. They don’t allow ketchup on the premise, either! 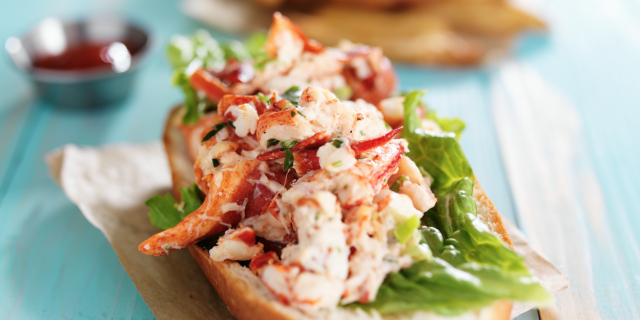 • Lobster Roll – Head up to Maine to sink your teeth into this classic. So special, that traditionally it’s only made on a certain type of bread. These people are serious about having the lobster be from Maine as well. • Gumbo/Jambalaya – Dive down to the dirty South, just short of the Gulf of Mexico, and you will find the best regional cuisine on the map. Gumbo for the soup/stew lovers and jambalaya for its rice counterparts. Both extremely full of flavor. Just remember that if the gumbo doesn’t look like chocolate in color, keep looking! Brown is the way to go! • Biscuits ‘n’ Gravy – Which came first – the chicken or the egg? Neither, because I was too busy eating biscuits ‘n’ gravy. America loves these so much they don’t even want to put the word “and” in it. Takes too long to say and they are too hungry! The Carolinas do this justice with sausage in the gravy. It’s the only way to eat bacon and eggs, if you ask me. • Mac and Cheese – I’ve been doing this for years, but calling it pasta! I’ll let you have this one, though, because of how you prepare it. Baked or not, this dish oozes with cheese. And if it doesn’t, it’s not the real thing. • New York Deli Sandwiches – Stacked as high as the Empire State building, you can get everything from pastrami on rye to the craziest french dip, au jus included at no charge. The Carnegie Deli takes it to the next level. I’m there almost every time I hit New York up for business or fun. If you ever get a chance, head over and tell them Fabio sent you.